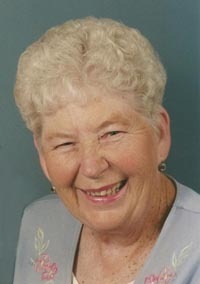 Vera “Ormae” Smith, 80, of Hailey, Idaho, passed away on Sept. 28, 2013 in Pocatello, Idaho, after a prolonged illness. She died peacefully, surrounded by her family. Her parents had to move frequently for the mining profession Bert held, especially during the Great Depression years. They moved frequently between Utah and Idaho. Ormae began her education in the one-room school in Stanley, Idaho. She recalled the tragic and severe accident her father encountered while working in the Triumph Mine in 1939. Ormae graduated from Hailey High School in 1950. She loved attending her class reunions for many decades afterwards, including her 60th reunion. On Sept. 29, 1951, she married the love of her life, Ronald DeWayne Smith. She adored her husband, and they had one child, Susan Renee, whom they both adored, as well. They both made Hailey their permanent home for the rest of their lives. Their marriage was solemnized in the Idaho Falls Temple on Nov. 7, 1964. They enjoyed being with each other. They traveled to many places and had many good times together. Ormae learned her profession as a cosmetologist from Winnie Brooks at the Marinello Hair Salon in Hailey. Her own business. Ormae’s Beauty Shop, was a successful salon for the 43 years that she operated it, and many of her clients became very dear friends. She loved to do hair and nails and was proud of her business. For many years she attended beauty conventions at Sun Valley, with her daughter, Susan, and granddaughter, LeAnn. Ormae was best known for her social skills. She loved her family and friends, always making time to visit. She was never shy and endeavored to make new friends and conversation wherever she went. No one was a stranger to her, much like her father. She loved to share memories and stories. Many of the local kids learned to dance from her. Jitterbugging was her favorite. She loved card playing, and her game of choice was Pinochle. During her married years, she and Ron were active in community affairs, such as the Jaycees. They worked in the Hailey rodeo for a number of years as well. She also participated in the funding for the construction of the Blaine County Hospital. Being a member of the LDS church all her life, she worked hard alongside her family in funding operations for the construction of the church building. She had been active on many varied callings throughout her life. Ormae was preceded in death by her mother, father, and her husband, one brother, Ralph, a baby sister, and a sister-in-law, Betty Shirts. She is survived by her daughter, Susan (William C. Bentz); one granddaughter, LeAnn (Brad S. Gelskey); Grandsons Ronald W. Bentz, and Andrew D. Bentz; And two great-grandchildren, Ryan S. Gelskey and Shayna R. Gelskey; two brothers, Rex and Monte Shirts (Mary Lou Shirts) one sister-in-law, Margaret Shirts, along with many nieces and nephews.